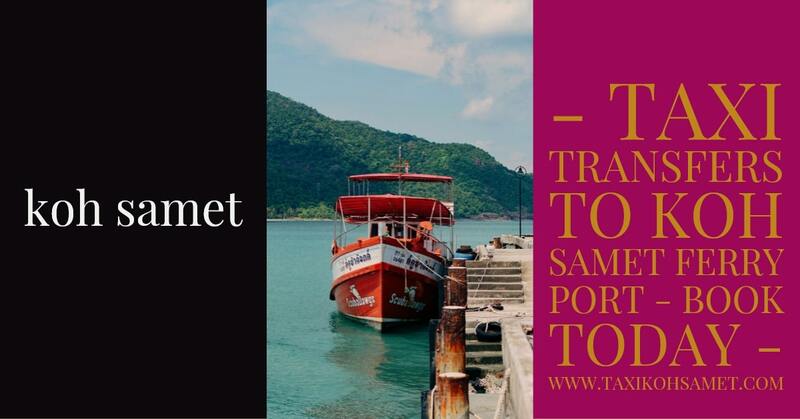 The transit point for every visitor to Koh Samet is Ban Phe in Rayong, ferries from Ban Phe to Koh Samet take around 30 to 45 minutes. Only buy a one-way ticket, as there's no discount on round-trip tickets and you won't have to worry about losing it. Once you have arrived in Ban Phe, there are 3 piers offering boats to Koh Samet, the boat fares can be varied depending on the beach destination that you are going to. 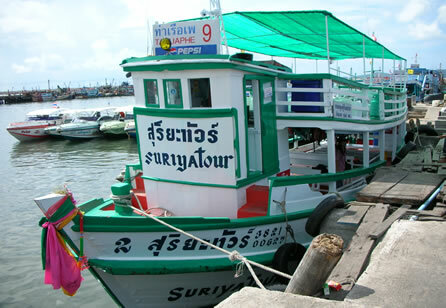 The ferry schedule also varies depending upon the destination in Koh Samet. Ferry from Koh Samet to Ban Phe Ferries from the main pier 'Na Dan Pier' leave for Koh Samet every hour. Ferry leaves Ao Wai at 14:00 Ferry leaves Ao Kiu at 08:00 and 12:00 Ferry leaves Ao Prao at at 10:00, 12:30, 15:00 and 17:00. The beaches on the southeast side of Koh Samet are less crowded. These are a good option if you prefer to have a very relaxed and calm holiday. The west side is alot more rocky with some shingle beaches, however you will find a very nice beach here in Ao Prao. Hat Sai Kaew or Diamond Beach is the longest beach on Koh Samet at 780 metres and also one of the most popular beaches on Koh Samet. It is located on the north-east tip of the island. If you are looking for the perfect paradise beach this is the beach for you. The sand is almost white and the water is invitingly green-blue. You will find a number of small restaurants and bars here, as well as good accommodation. Further down the beach you will find many bungalows and hotel rooms. Here you will also find many different activities if you don't only want to sunbathe. A few examples: windsurfing, jet ski, snorkeling, ride a bananboat and later in the evening, have a cocktail or long drink on the beach. Ao Vong Duan is the second longest beach on Koh Samet and is around 500 meters long,the beach is half moon shaped beach with by far the best sunrise on this island. The sand is as inviting as on Hat Sai Kaew and the atmosphere here is really pleasant. Here tourists arrives in both the high and low season, to enjoy the beautiful beach. Along the beach you find many different restaurants ranging from reasonable to first class all specialising in seafood. These restaurants also have a very nice view over the ocean. 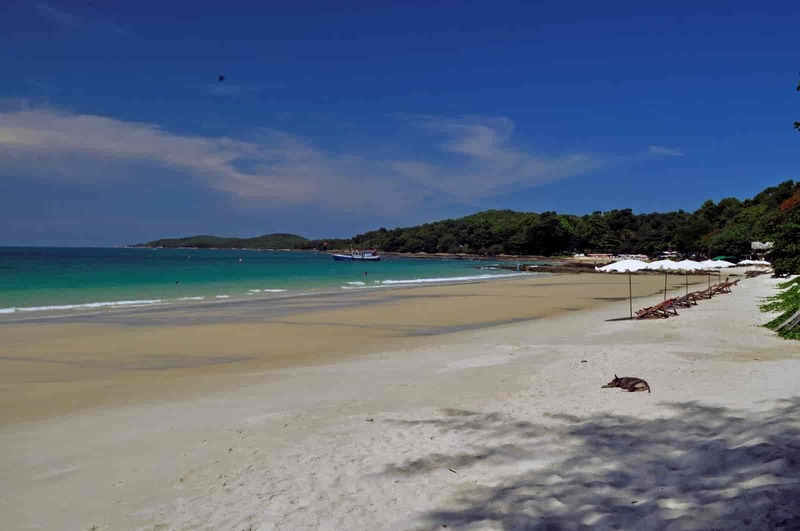 They are all nice small beaches that all have the white characteristic of Koh Samet sand. The distances between the beaches are not far, so you can easily take a walk or a ride with a bike. The further south you go on this island the less tourists you will find in general.